The average American family does 8–10 loads of laundry each week and every article of clothing comes with a specific set of washing instructions—Line dry. Wash in cold water with like colors. Do not iron. These special care needs can make a cramped laundry room seem even smaller. 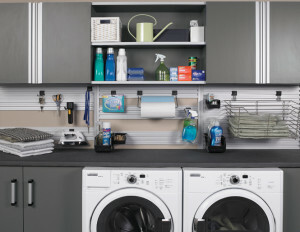 Never fear, More Space Place is here to bring you the custom, organized laundry room of your dreams. The main laundry room woe is space. How do we make room for all of our laundry necessities? Between the stain removers, detergent, fabric softener, and dryer sheets, the small counters in a laundry room can be overtaken. 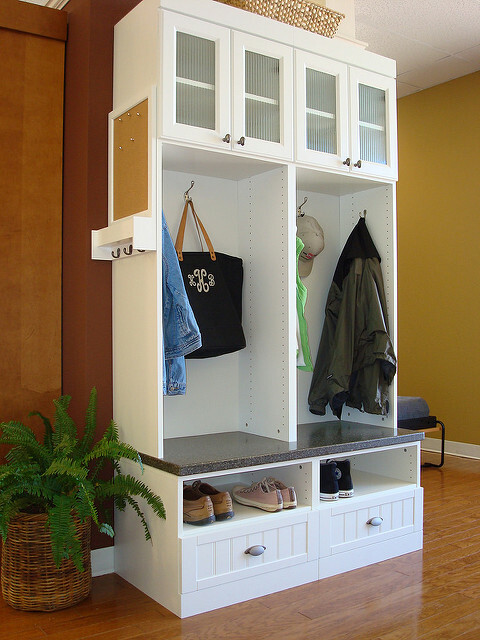 Adding custom wall cabinets, especially ones with open door facings, to your laundry room allows you to quickly grab the products you need and return them when you’re finished. The floor is commonly a wasted space in most laundry rooms. Think about it. Are you still sorting your laundry into piles on the floor? 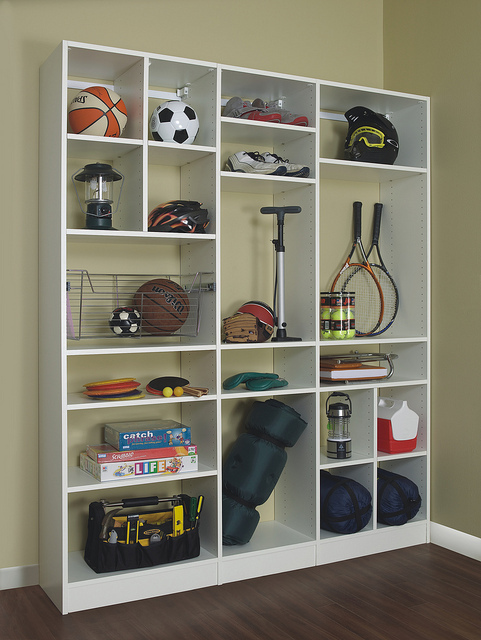 Pull-out baskets and hampers make organizing laundry a breeze and keep you from tripping over piles. Big bulky ironing boards can also be a tripping hazard. Pull down ironing boards are a great way to keep this tool hidden when you’re not using it. Another problem we encounter frequently in the laundry room is where to hang clothing that needs to hang to dry. At More Space Place, we utilize vertical space by adding specially designed rods and dividers that adjust to fit your needs can give you back that space. Now you can walk through your doorway without running headfirst into wet clothes. Anyone who has ever washed clothes can relate to these laundry room woes. We want you to stop dreading laundry day and start enjoying the time you spend in there! 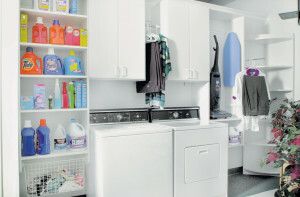 More Space Place is proud to offer the best custom laundry room solutions around. 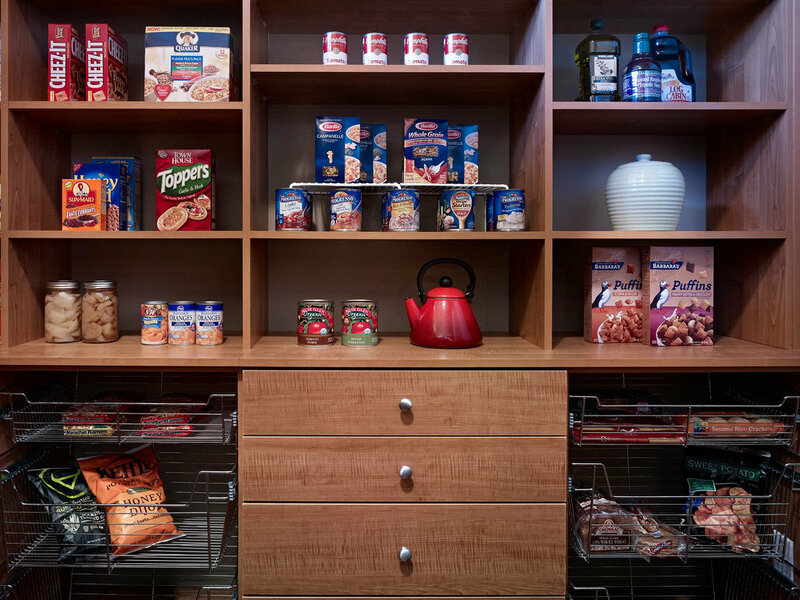 Call, click, or come into a showroom today and let our expert designers show you all of our outstanding organizational options.